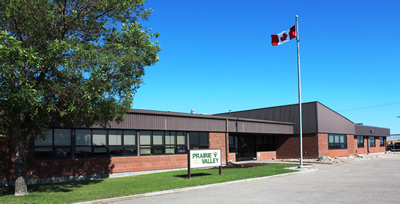 Each school in the Prairie Valley School Division offers athletic activities outside of class time. These athletic activities are run by teachers, other employees of Prairie Valley or community volunteers. The Saskatchewan High School Athletics Association is the governing provincial body and is charged with the role to set up high school provincial playoffs and championships in: Sand and Grass Green Golf, Cross Country Running, Soccer, Volleyball, Tackle Football, Basketball, Curling, Wrestling, Badminton and Track and Field. These activities may be offered if the school has someone that is capable and willing to coach that activity and enough students to make up a team if a minimum number is required. Prairie Valley schools also offer other athletic activities as extracurricular programs, such as team handball, archery and table tennis. These activities may be offered if the school has someone that is capable and willing to coach that activity and enough students to make up a team if a minimum number is required. Contact individual schools for more information on what programs are offered. Prairie Valley School Division endorses the formation and operation of student leadership councils to support school activities. All schools may establish student leadership councils (SLCs). Many Prairie Valley School Division schools produced yearbooks chronicling the lives of their students. Yearbooks are the responsibility of individual schools. For more information about yearbooks, contact the school in question.